If you know me offline, what I’m about to tell you won’t surprise you. I have a pretty serious sweet tooth. 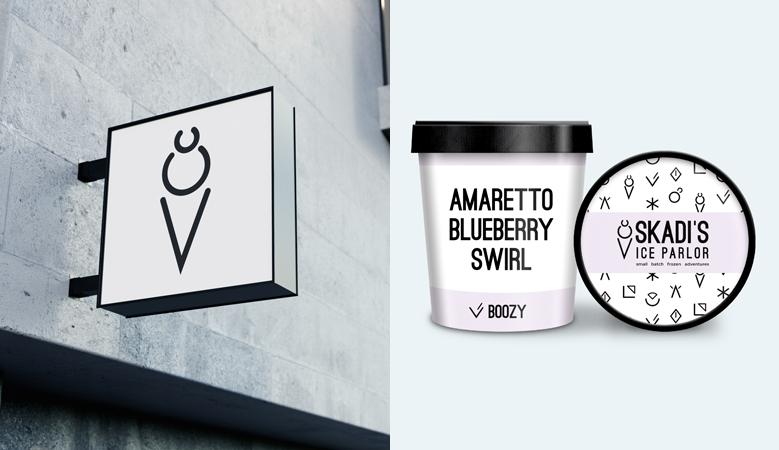 There’s a reason that an ice cream shop was the first business I decided to use for my Brand Nuance series. And one of those ideas stuck around and niggled in the back of my mind. What if it was a real ice cream place? What would their menu be like? Their interior? How would the rest of this place look? I decided to answer my own questions. Any good design exercise has at least some sort of brief to guide it. 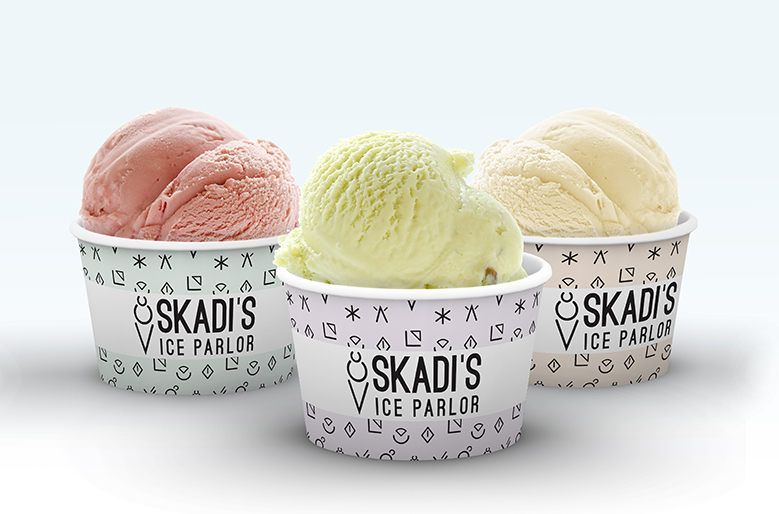 Here’s what I was working from for this: Skadi’s Ice Parlor is a modern ice cream place that focuses on odd flavors and small handmade batches from fresh ingredients. They seem themselves as a fun adventure for your tastebuds in the midst of the concrete jungle. 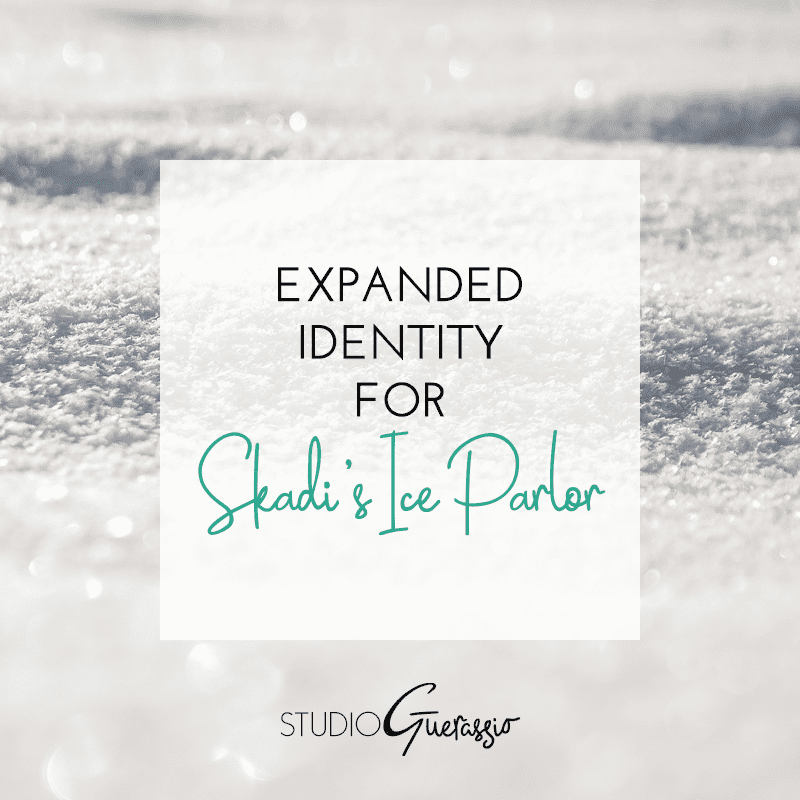 The goal was to balance friendly fun with urban hipness, and give a nod to Scandinavian design (Skadi is a Norse goddess of winter). To do that, I used a fairly minimal design approach, created a set of rune-inspired icons, and chose a range of pastels to offset the harsh textures and lines of their city setting. Pastels also work well for ice cream, so it seemed a natural fit. Balanced against the strong type and angles in the layouts, it achieves what I was aiming for rather than seeming too sweet or childish. 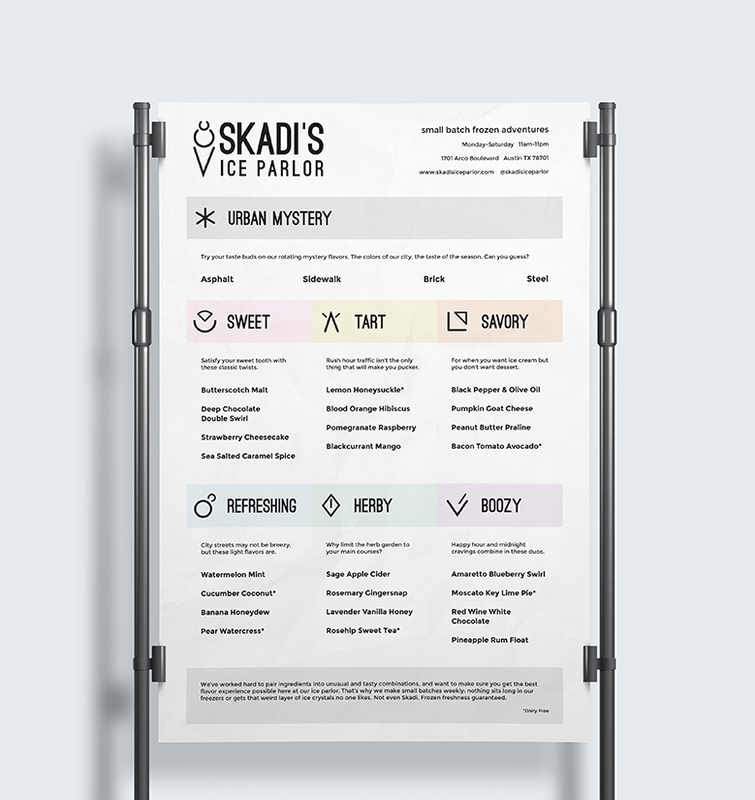 Their menu* is broken down into 7 sections, and each has its own color and icon designation that carries throughout the visual identity. Any dine-in cup or to-go pint will be the color that corresponds to the menu section the flavor ordered comes from. Customizable product mock-ups are a thing of beauty, I tell you. I made myself hungry more than once working on these pieces. And I legit want to try some of these flavors, so someone make some of these weirder ones for me, ok? What do you think? 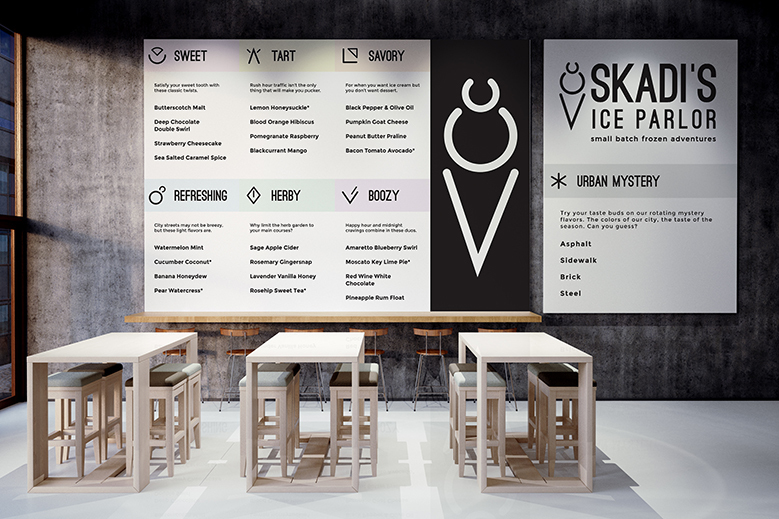 Would you be tempted into this ice parlor for a scoop?